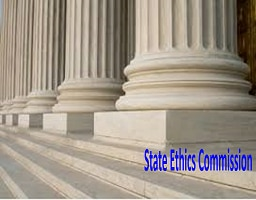 Boston, MA — The State Ethics Commission has concluded an adjudicatory proceeding involving former Town of Stoughton (Town) Moderator Howard Hansen (Hansen) by issuing a Decision and Order (Decision) finding that Hansen violated several sections of the conflict of interest law, G.L. c. 268A, and ordering Hansen to pay a $4,000 civil penalty. The adjudicatory proceeding was initiated in February 2016 by the Commission’s Enforcement Division filing an Order to Show Cause alleging that Hansen violated the conflict of interest law by directing Town business to Hansen Brothers Printing Co., a company he owned as the sole proprietor. According to the Decision, Hansen served as the elected, paid Town Moderator from 1993 through 2016. The Decision states that between 2009 and 2014, Hansen, as Town Moderator, repeatedly contracted with Hansen Brothers Printing Co. for printing and copying services for the Town. Hansen did not obtain quotes from other potential printing vendors as required by the Town’s procurement policy. He did not use any of the more than 30 photocopiers or printers available to him in Town Hall. As the owner of Hansen Brothers Printing Co., Hansen submitted invoices to the Town for printing and copying services, and as Town Moderator, he completed paperwork approving his own company’s invoices. Hansen Brothers Printing Co. received a total of approximately $13,000 from the Town for printing and copying services during this time. Section 19 of the conflict of interest law prohibits a municipal employee from participating as such an employee in a particular matter in which, to his knowledge, he has a financial interest. According to the Decision, Hansen violated section 19 each time he made decisions as Town Moderator to hire and authorize payment to Hansen Brothers Printing Co. for printing and copying services. Section 20 of the law prohibits a municipal employee from having a financial interest in a contract made by a municipal agency of the same town. Before Hansen became Town Moderator, Hansen Brothers Printing Co. had provided printing and copying services to the Town from 1968 to 1993. In 1993, Hansen requested that the Board of Selectmen designate the Town Moderator position as a special municipal employee position. Although this designation made Hansen eligible for two exemptions under § 20, he was still required to satisfy the requirements of an exemption in order to have a financial interest in any contract between the Town and Hansen Brothers Printing Co. while he was Town Moderator. To use the exemptions, Hansen was required to file disclosures with the Town Clerk, and, in most instances, he needed to obtain approval from the Selectmen. In the Decision, the Commission found that Hansen never satisfied the requirements of the exemptions and never obtained the required approvals. The Commission ruled that Hansen repeatedly violated section 20 by having a financial interest as sole proprietor of Hansen Brothers Printing Co. in each contract for printing and copying services that the Town had with Hansen Brothers Printing Co. between 2009 and 2013. In assessing a civil penalty of $4,000, the Commission took into consideration that other Town officials knew for years that Hansen was directing business to his own company, but did nothing to stop it. The Commission noted that this was grounds for mitigating the penalty, but did not excuse Hansen’s conduct, stating, “The conflict of interest law demands that each public employee take responsibility for the integrity of his own governmental service, and we do not suggest that Hansen was relieved of such responsibility because other Town officials did not take action to prevent his violations”. The conflict of interest law imposes restrictions on what public employees can do when matters also involve their private business interests. The Commission encourages public employees to contact the Commission’s Legal Division at 617-371-9500 for free, confidential advice if they have any questions regarding how the conflict of interest law may apply to them.